There's no doubt I love pottery and enjoy discovering new ceramics. There are so many talented ceramic artists and I just want to collect all the wonderful designs out there. 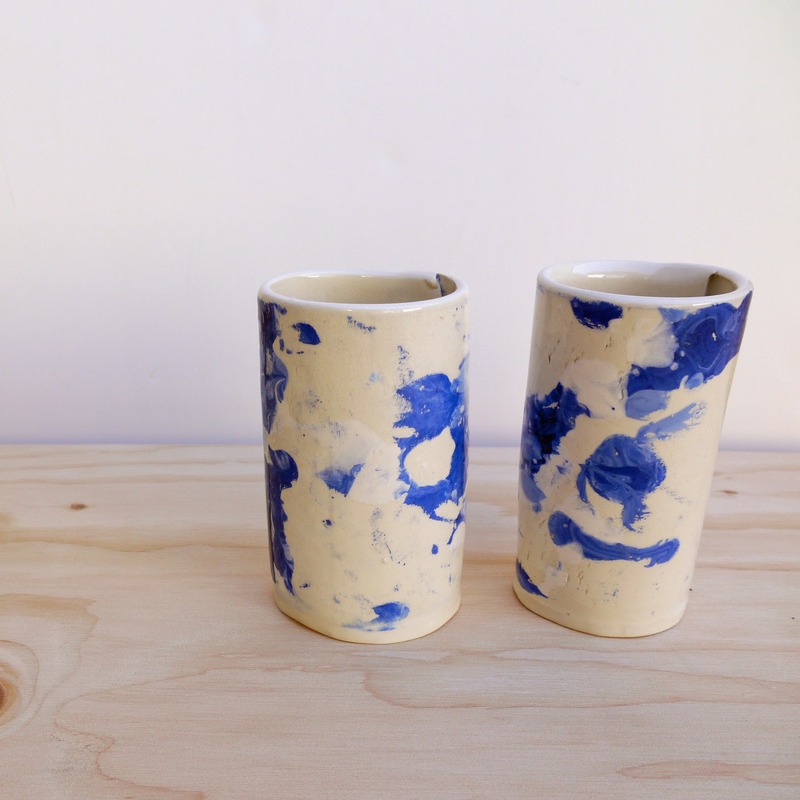 So I was thrilled when ceramic artist Forrest Lewinger introduced me to his line of functional ceramics, Workaday Handmade. Maybe it's the constant color of the skies and access to the ocean here at home, but blue has always been my favorite color. 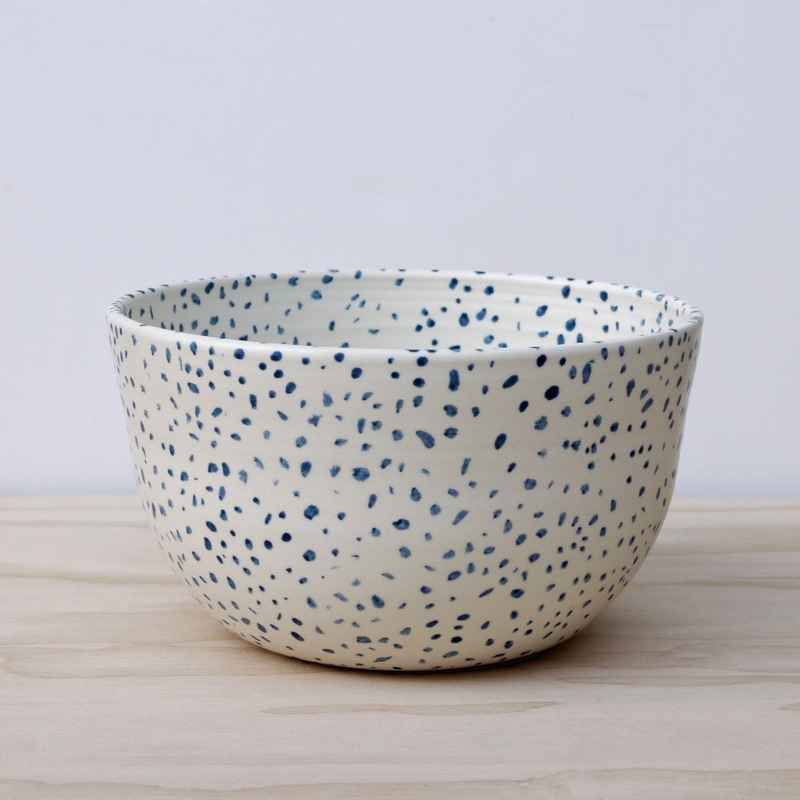 Featuring my favorite blue in all it's glory... whether marbled, dotted or as a geometric pattern, I couldn't resist adding his ceramics to our shop. And he hand paints all the dots and patterns that are showcased on his creations. 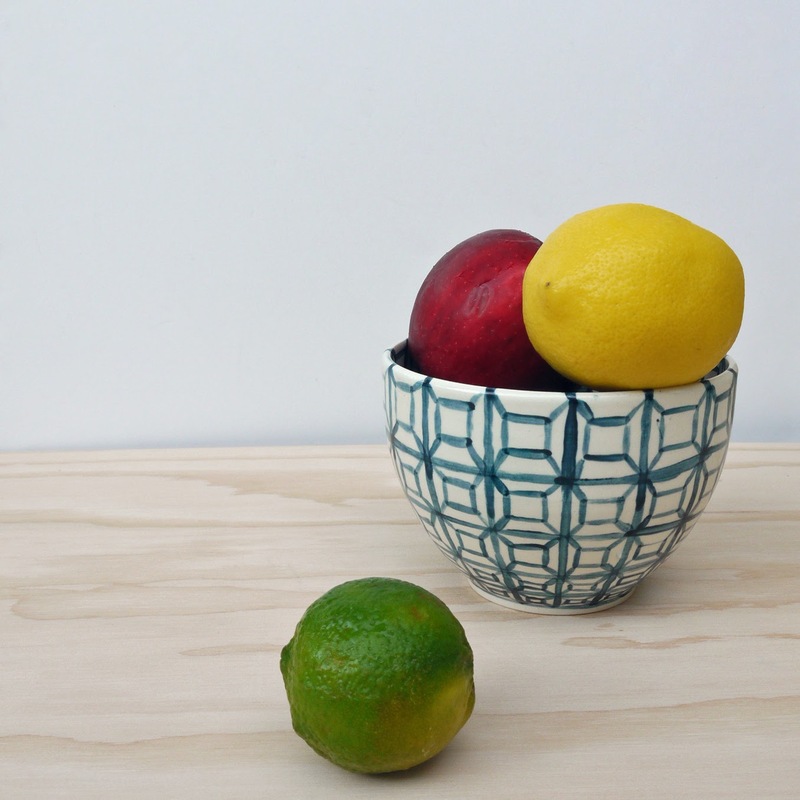 The versatile shapes and glazes (love the egg bowl matte glaze) makes you want to touch them. Plus the pattern of the bowl is somewhat mesmerizing. I keep admiring my small fruit bowl as it adorns the table-top. Just pretty!